Close up vector wallpaper of roaring tigers, fighting or playing. Tigers like to be alone and do not like the presence of other animals or humans in their territory. 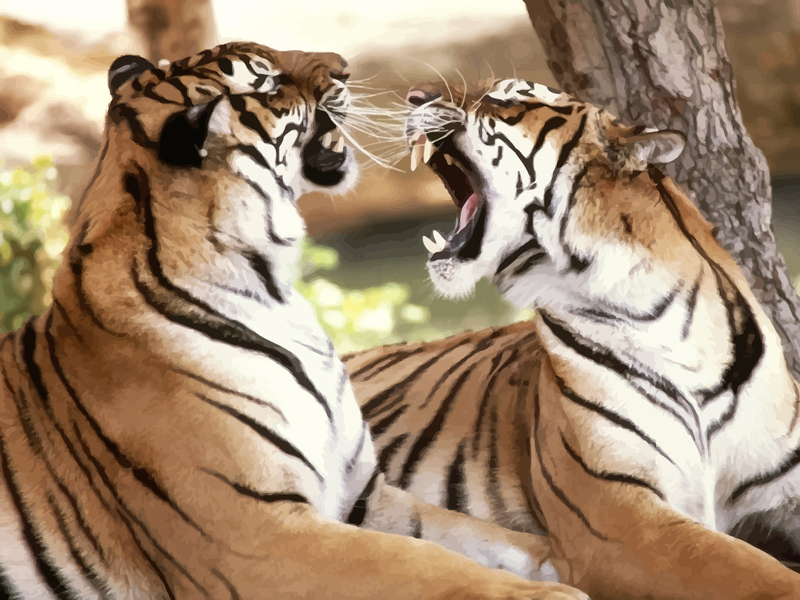 When disturbed nursing or hunting, tigers may attack to protect their cubs and environment. If tigers become too old too hunt, they become man-eaters. License: Non-Commercial Personal Use Images are copyright of the respective owners.